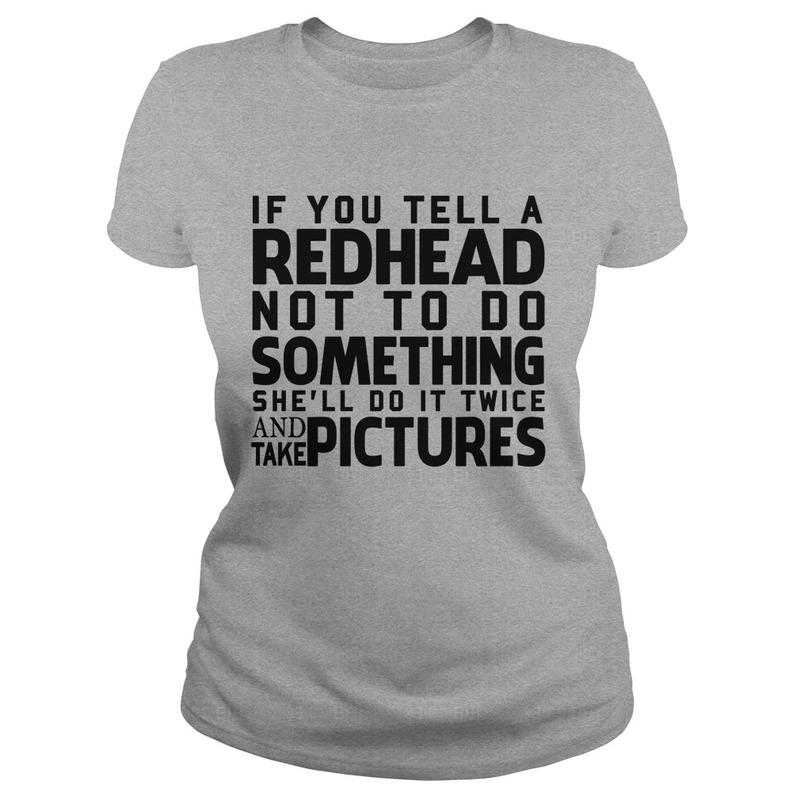 If you tell a Redhead not to do something she’ll do it twice and tank picture shirt. If you tell a Redhead not to do something she’ll do it twice and tank picture t-shirt, hoodie, ladies tee… This shirt perfect for one a redhead. IMPORTANT: These shirts are only available for a LIMITED TIME, so act fast and order yours now.